Seemownay did a detailed walk-through video of her A5 size Rhodiarama dot grid notebook she used from September through November as her bullet journal and planner. She goes through each page thoroughly and explains what they are all for. She shows her index, trackers, social media planner, and weekly planning pages. She explains her planner pages and her time management methods. She has so much in her notebook including spending trackers, brain dumps, grocery lists, scrapbooking sketches, notes from a course she took, and more. I love her recurring tasks list, I might do something similar in my planner! She even shows us all the papers she keeps in the back pocket. The notebook Seemownay shows in this video is the A5 Rhodiarama softcover dot grid notebook with the Chocolate brown cover. These notebooks come with hard or soft covers in 16 different colors, in A5 or A6 size, with lined or dotted pages. 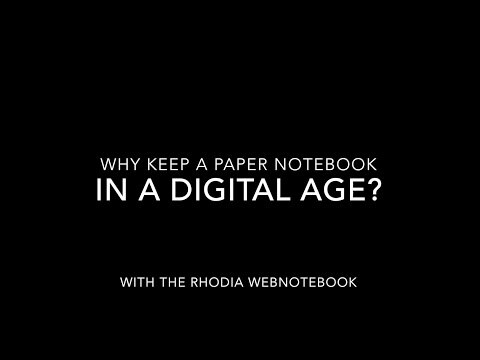 For more information about the Rhodiarama notebooks including where to buy, click here.